It is September, amazing how days passed by and I hardly notice it. The benefit of being busy is you do not get bored. Right, there is no part in my brain that says I am bored. There had been lots of events that happened last month. My TV had been my company for several days. I do not have cable but the local news provided me with the important info I needed. Online news is likewise of equal importance. This part of the year is rainy season in the Philippines. But unlike previous year, I had not expected we would have too many typhoons this year as projected by our weather men at PAG-ASA, Philippine Atmospheric, Geophysical and Astronomical Services Administration. Flood follows in some parts of Manila as rainfall invaded the city. Thanks goodness, our place is exempted from flooding despite our proximity to a river. A place in Eastern Visaya, was rocked by 7.6 magnitude of earthquake. One casualty was reported but the damages to properties and infrastructure are enormous. Oh, as to the lighter side. 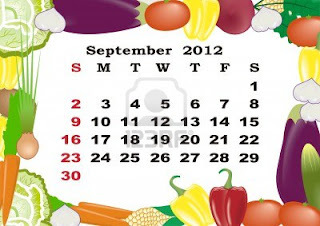 It is September, BER months starts its countdown as the most expensive month is nearing. As some of my friends say, start to save for presents, start to rearrange budget. I had been blessed for getting good scores previous months at work. That means I had qualified for some cash incentives. I could use the extra money for some presents and some small appliances I would like to buy. I could not believe the blessings. As I used to tell myself, yes miracles do happen. It was hard work though to qualify. Yet, it made me thought of myself, I am one of the good guys! Folks, I had been on and off the World Wide Web, thank you to my blog followers despite my absence. I do hope you guys are doing well. Take care, everyone! Busy is good JP, I am with you in that respect. No rain here, just warm winds, hot nights and hotter days. Blog when you can, they are always enjoyed with a coffee! @Luke Regler - Thanks Luke, I am good and still beautiful. (lol)I am happy to see your smiling face again here on my blog. @JP: The weather in Manila today is different from Jakarta is like Luke said hot with no rain. I hope that you will keep on blogging. Its been raining here in Southern Norway almost every day since May, a lot of rain. Some says it is because the ice disappears from the North Pole..